Welcome to the YC page where we share some of the exciting activities our young carers have been up to. 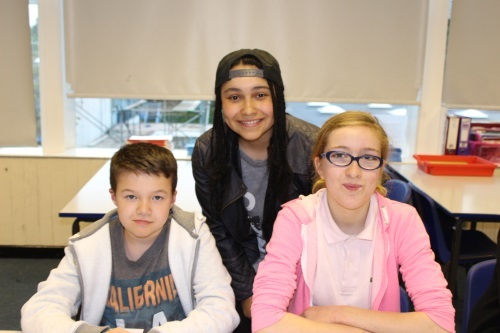 Britain's Got Talent finalist Gabz (aka Gabrielle Gardiner) dropped in to a recent Young Carers' Council meeting. Watch this space for information on Gabz' forthcoming gig. View more photos on our Facebook page. There were no men overboard but huge cheers from the sidelines when YCs took to the water on Saturday 16th August as part of a Family Day and Regatta organised in partnership with the Turn the Tide Boat Project. 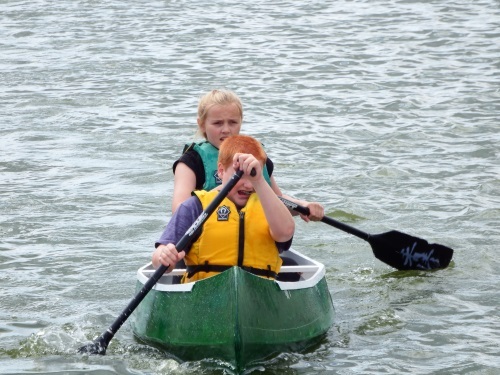 The YCs were supported by their families and friends when they raced their canoes they had built from scratch at Fairlands Valley Sailing Lake as part of a pioneering scheme which gives young people aged 12 to 18 who are living in challenging situations the opportunity to work as a team and build a dinghy or canoe from scratch. After completing the eight-week course the YCs took to the water while their friends and family enjoyed picnics on the banks of the lake. Marriotts School pupil Jason George, 14, from Stevenage, helps care for his mother, Paula, who is blind, and his partially blind dad, Abner. In addition to the races, younger children took part in a colouring competition and young carers left their mark on a graffiti wall by adding their messages to say how their caring role makes them feel. For more information on Turn the Tide Boat Project call Pete Cross on 01438 842200. Visit our Facebook page to see more photos of this event. 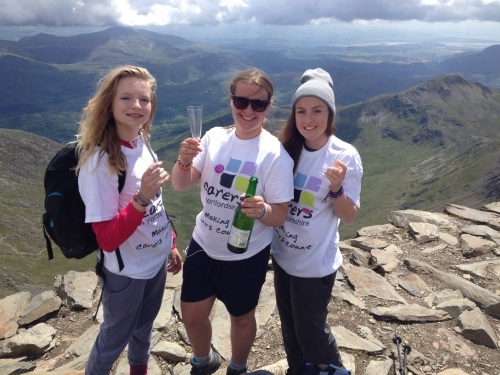 Sir Frederic Osborn Year 10 pupils, from left, Shannon Hall, Grace Moore and Elle Burch-Melville scaled Wales’ highest peak to raise £1,000 for Carers in Hertfordshire. They were accompanied on the climb up Mount Snowdon by mum Vicki Burch-Melville and teachers Rachel Phillips and Gemma Ward. The girls from the Welwyn Garden City school exceeded their fundraising target for a cause that is dear to their hearts and now aim to raise awareness. Elle cares for her younger sister who has ADHD and autism and Shannon cares for her younger sister, Charlie, who has Rett syndrome, a genetic disorder that affects approximately 1 in 12,000 females and causes severe physical and mental disability. Shannon also has a hip problem which made the climb even more of a challenge. Grace, cares for her autistic younger brother Charlie, and together with her dad has Type 1 diabetes. The girls were elated by the experience. Shannon said: "Climbing Mount Snowdon was a massive personal accomplishment for me and has given me the inspiration to do more ambitious things. The route we took wasn't easy and I am proud to say, we climbed Mount Snowdon the hard way!" Elle said: "The trip was an amazing experience which I will never forget." And Grace added: "The weekend away itself was very memorable, I would love to do it again." 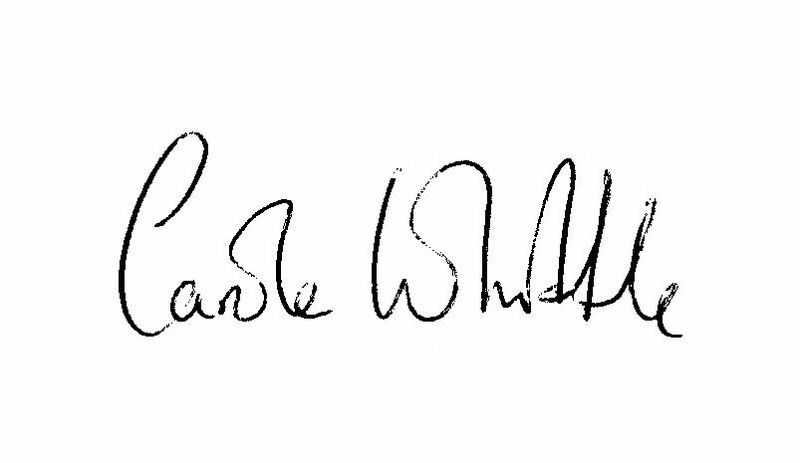 Rachel Phillips, Year 10 Director of Learning, said: "I'm beyond proud of Elle, Grace and Shannon. Their effort, motiviation and dedication has been truly inspirational. Reaching the summit was emotional and one of the proudest moments of my teaching career. Well done ladies - you are my heroes!" PE teacher Gemma Ward added: "The students made me extremely proud at how well they embraced and completed this challenge. The trek up was tricky but the views at the top and the tream spirit made it all worthwhile." And proud mum Vicki Burch-Melville said it had been a fantastic opportunity. In addition to the Mount Snowdon climb the girls manned a Carers in Hertfordshire stall at Welwyn Garden City Fire Station’s Open Day and at their school fete. They even designed their own pdf fundraising poster (305 KB) to promote their climb. The girls say they now want to reach out to other children and teenage carers who may be going through stressful times and raise awareness. Watch the video (below) of their 'Trek for young carers'. For more photos visit our Facebook page. Carers' Week ran from 9-15 June and Friday 13 June was officially dubbed Young Carers' Day. So what better way to raise awareness than to ask YCs to talk about their experiences themselves? It takes courage to talk to teachers and even pupils about something that is so personal. We trained young carers to do this and to talk about how the support they have received has helped them. As a result four schools have made a commitment to act to identify and help young carers. This is an excellent start and we hope more schools will pledge their support once the exam season comes to an end. Read more about Carers' Week. A career in the City and other high-flying profession is not off limits just because you are a carer. This was the inspirational message given to four of our young carers during a recent day out at a leading global investment bank. The teenagers were invited to learn about what support Goldman Sachs and other businesses can offer to employees who juggle their careers with caring roles. YC Council chair Grace Huxtable, from Hemel, vice chair Kasey Penstone-Smith, from Hatfield, Watford YC Council member Shannon Woolford and Hertford YC volunteer Samaya Woolner travelled to the City with Carers in Hertfordshire's Young Carers Involvement and Support Worker Marie Freeman. After hearing from adult carers about how they balance work with their caring roles, the teenagers were given a tour of Goldman Sachs, including the trading floor. They were then offered advice on how they can use their caring experience to enhance their CV. On behalf of YCs we would like to thank Goldman Sachs for such an inspirational day. Last but not least ... A Japanese film crew interviewed two of our young carers for a documentary to raise awareness about young people taking on caring roles in Japan. Here they are filming outside our Hertford office with Carole Whittle. The fabulous work of our Young Carers' Council has now spread far and wide! Are you planning a fundraising event for young carers, or would you like to find out more about what we can do to help? Call 01992 58 69 69 or email. We would love to hear from you! And don't forget to visit our YC website.